California's wonderful year-round weather is good for their wine Abundant sunshine ensures a consistent and long grape growing season, while the diversity of their terroir supports a multitude of wine grape varieties and surprising flavor variation within them. 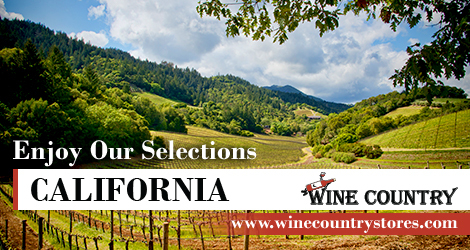 California's 1,300 kilometers (800 miles) of rugged coastline expose nearby vineyards to natural "air conditioning" in the form of fog and breezes, making for exceptional Chardonnay, Pinot Noir and other cool climate varieties. Warmer interior valleys receive the same cooling effect thanks to rivers, lakes and deltas. Meanwhile, vines planted along our hillsides get a fine mixture of cooling air and bright, unfiltered sun-conditions that Cabernet Sauvignon and Merlot were born to love. Their soils are as diverse as their growing regions. Sand, clay, loam, granite, volcanic ash, seabed soil, river-run gravel: each contributes its own distinct minerality. And their winemakers are no less varied: since the 1700s, immigrants from all over the world have settled in California, bringing their vines and their skills with them. Hard-earned secrets of soil, climate and vine have been passed from generation to generation, providing California wine with its unique legacy and spectacular range.